Hello, My name is Carla I have an obsession with my instant pot. They say admitting your addiction is the first step. 🙂 The only thing is I don’t want to stop using my Instant Pot. Tonight I had a little experiment. I made Ranch Chicken and made Cracked Up TatorTots with Instant Pot Ranch Chicken. I loved My Crack Chicken so much I made Cracked up chicken and Broccoli rice that was to die for. I did not use the Instant Pot for this whole meal but I did do the chicken in the IP. Directions: Preheat oven to 350. Cook tater tots according to package. I baked my tater tots and bacon at the same time while my chicken was cooking. 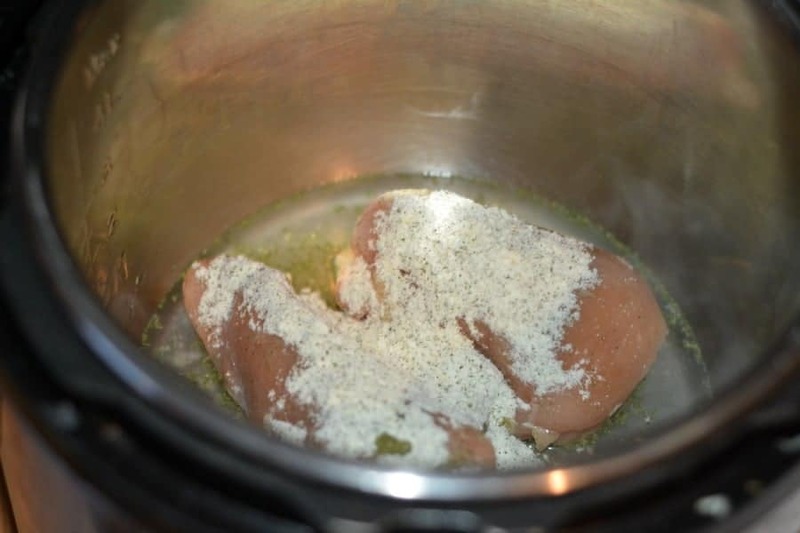 Place chicken breast in the Instant pot with one cup water and add ranch season packet. Cook on manual high pressure for 12 minutes. Do a quick release and remove chicken breast. Shred chicken with two forks. 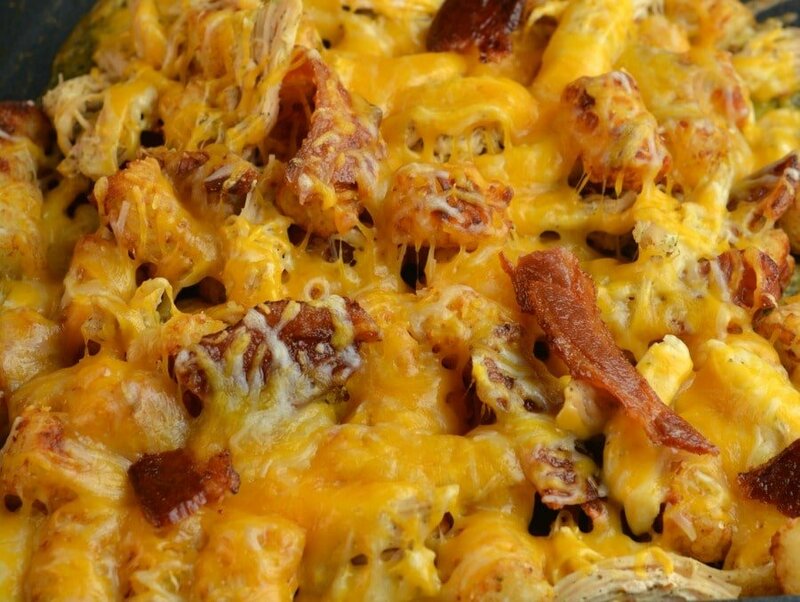 Mix together chicken, tater tots Spread cheese over the top and bacon. Bake for 5 minutes or until cheese melts. Preheat oven to 350. Cook tater tots according to package. I baked my tatertots and bacon at the same time while my chicken was cooking. Place chicken breast in the Instant pot with one cup water and add ranch season packet. Cook on manual high pressure for 12 minutes. Do a quick release and remove chicken breast. Shred chicken with two forks. Mix together chicken, tatertots Spread cheese over the top and bacon. Bake for 5 minutes or until cheese melts. What size is your bag of tater tots? I just used the regular size frozen bag. How many does this feed? I need to feed 6. I made this last night. My family really enjoyed it and this was super easy. I used a 32 oz bag of tater tots , which I thought was regular size. 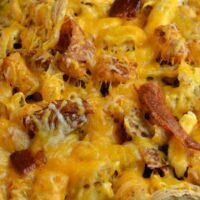 This recipe makes enough for 4 people, 5 if you have smaller portions, but I have 2 growing boys with big appetites. My daughter said this dish reminded her of loaded french fries. When at the end of your instructions you say bake for 5 minutes, do you mean in the oven or in the instant pot? Is the chicken thawed or frozen?